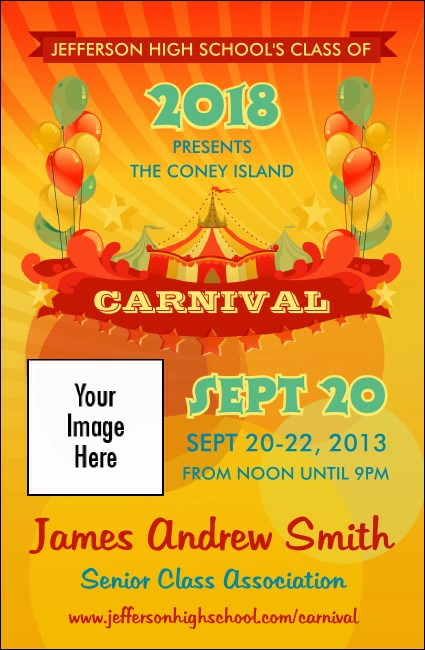 Hop in the clown car with the Carnival VIP Event Badge Small! Centered by a fanciful circus tent bursting with fun and balloons, this design features plenty of space to lay out both event details and VIP benefits. Printed on high-quality ticket stock, this VIP badge will make a great impression to your notable guests! Deliver perks and a great experience to your VIPs with TicketPrinting.com event badges!